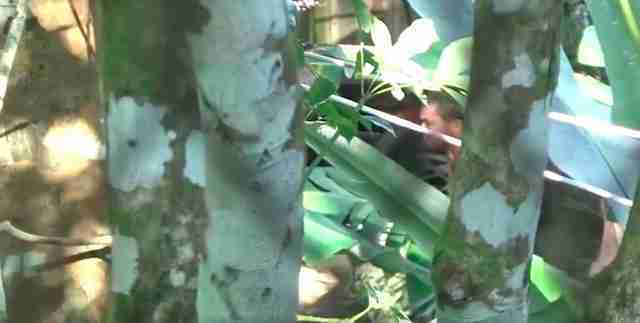 A camera lens peeks through a chain link fence at a tourist camp in Thailand, and focuses on something disturbing. Behind a copse of trees, a man screams and beats an elephant hard with a long wooden paddle. 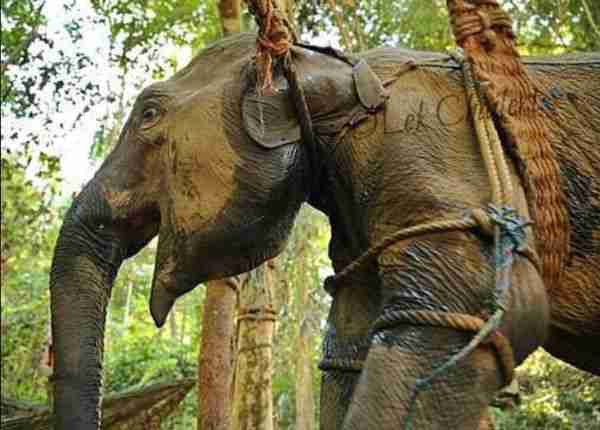 The elephant, who’s wearing a seat used to carry tourists, can’t get away — chains hold her in place, giving her no choice but to put up with the abuse. The beating goes on for over an hour, according to the person who recorded it. After filming the incident, the anonymous investigator submitted the footage to Wildlife Friends Foundation Thailand (WFFT). Then WFFT posted the video on Facebook — where many people responded with outrage. The person who filmed it was pretty upset, too, Tom Taylor, assistant director of WFFT, told The Dodo. “The informant was shocked and horrified to witness this act of cruelty,” he said. Unfortunately, abuse like this is anything but rare in the tourism industry. The elephant in the video lives in a camp in the Phang Nga Province in southern Thailand, which houses 20 elephants who are being used to take tourists on jungle treks and perform circus shows, according to Taylor. The elephant who was beaten is believed to be about 40 to 50 years old, and she’s partially, if not fully, blind. But little else is known about the elephant, or why her handler was beating her in the first place. Taylor explained that the WFFT team is currently working to try and help the elephant, but is unable to reveal more at the moment. In most elephant camps in Thailand and other countries of Southeast Asia, owners will beat elephants on a daily basis to “train” them to carry people or perform tricks. And these beatings often start from a very early age. People working in tourist operations in Southeast Asia will often capture baby elephants from the wild, taking them away from their mothers, or remove them from their mothers as babies after breeding them in captivity. 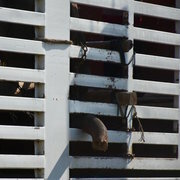 Then they will shove the baby elephants into cages, starve them and beat them into submission — a cruel process known as “the crush” that’s designed to break an elephant’s spirit and make them obedient. In Thailand, there are currently about 3,500 elephants living in captivity, and most of them are being used in tourist camps, according to WFFT. The best way to help elephants like the one in the video is not to support these kinds of tourism businesses in Asia, and to say "no" to any facility that offers elephant rides or performances. To help elephants and other wild animals in Thailand, you can make a donation to WFFT.